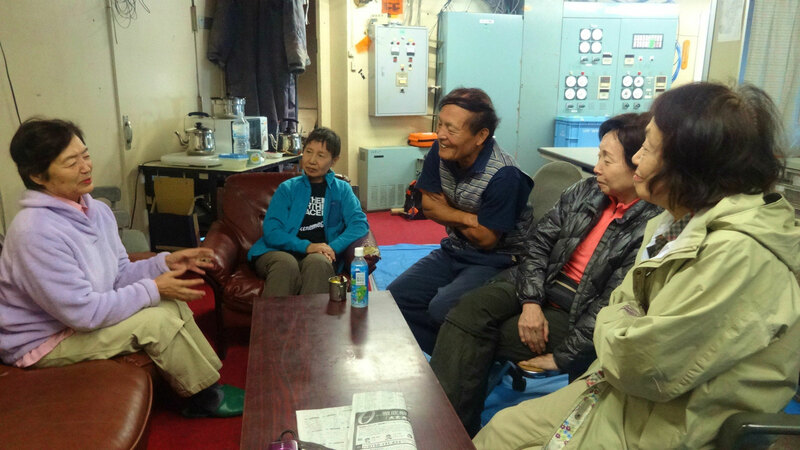 On August 8,2015,4 senior female climbers〔65~76 years old〕 visited for the summit of Mt.Fuji. On August 8~9,2015,4 senior female climbers stayed during approximately 20hours involve one night at Mt.Fuji. station. It was found that SpO2 at rest on 9th morning showed approximately 7% higher than 8th afternoon. while resting heart rate showed approximately 7% lower than 8th afternoon . effective for acquire the altitude acclimatization.